Coding doesn't have to always be done on computers; coding can also be wearable! At the start of their programming unit, grade 2 students learned about binary code and how it is the foundation of all programming languages. Students then created a necklace using beads to spell out their names in binary code. ​Please click here to view the 20 minute video of myself teaching the lesson. Please click here to view the UbD. The best projects are when they include multiple subjects to create a fun learning experience. With the Bee Bot community maps, students combined what they were learning in Social Studies (how to read and create maps and what is a community) with what they were learning in math (how to take and read measurements) with what they were learning in EdTech class (how to program the Bee Bot robot). Students first created a small map using 1 inch squares to plan out their street. Next students created a larger map (to scale) with 6 inch squares. To ensure the Bee Bot would correctly travel through their community students made very precise measurements using a tape measure. Next students added their community buildings and decorated their map. The best part: programming their Bee Bots to travel through each other's communities. Please click here to view a video of me introducing the project to the students. Please click here to view student reflections via FlipGrid. Who doesn't love the Olympics; especially when it's robots completing! As part the school pastoral care program, I spent time with the 4th and 5th grade dorm students after school, preparing them to be Olympic Champions. Their training prepared them for the Sphero Olympics which was held in front of the whole school and stream lived. Three teams competed in both individual and team events. Individual events included: Bridge Bowling, The Chariot Race and The Giant Slalom. The highlight of the event was the team challenge of programing their Sphero through a maze. Click here to view the entire event filmed with a 360 camera, it is recommended to view it with a VR headset. Each year grade 2 students host a market day where they sell good & services. (Math unit: money, supply & demand + Social Studies units: good and services). Right: Example of a service for sale: group of students set up a green screen photo booth using the app DoInk, you could chose from 15 different backgrounds & several props. 100% student created & produced. Below: Example of goods for sale: Students had access to the MakerSpace materials to create products for sale: paper puppets, dream catchers, origami and so much more. As part of their digital design unit, grade 5 students did a flipped lesson in Photoshop. Students took three photos of themselves in the same place with different outfits and "interacting with themselves." 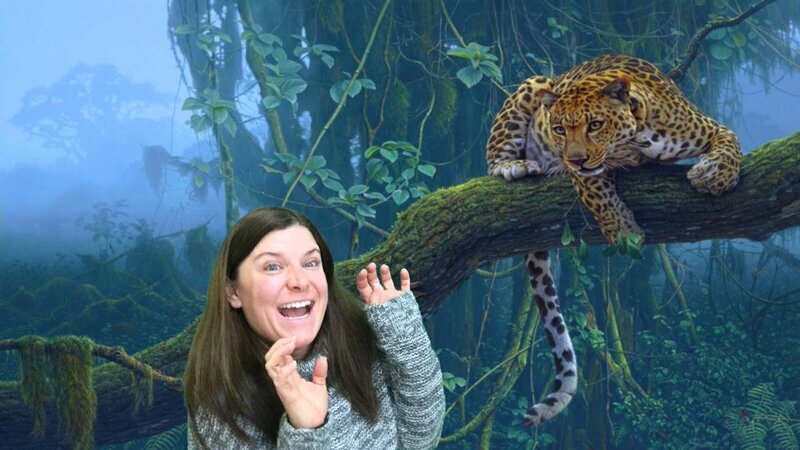 After viewing the online tutorial I made, students used the mask tool in Photoshop to combine the photos into one image. Click here to view the YouTube tutorial I made as part of the flipped lesson. Click here to view the UbD for the Photoshop unit. Kindergarten proves it's never to early to start teaching coding concepts! Using hand signals kindergarteners "programmed" each other to follow a series of commends to make their way their a maze, ending on a hidden print out of a strawberry. Click here to view the UbD for the non-screen coding unit for kindergarten. Chocolate is the best motivator! Grade 1 robotic students were only allowed to enjoy the baked goodie I made them after they built and programmed a robot to retrieve the treat from me and deliver it to them. Click here to view the UbD for the Grade 1 robotics unit. 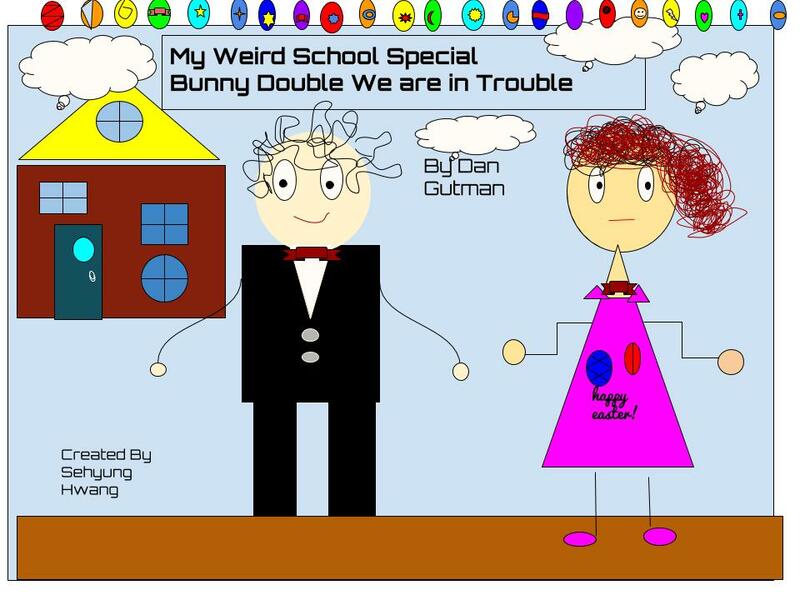 Grade 3 students recreated their favorite book's cover in Google Drawings. Once their drawings were complete students used Quicktime Movie to record a screen cast of the Google Drawing's revision history. Then using iMovie students sped up the speed of the screen cast resulting in a 10 second video of the creation of their book cover click by click. Using Aurasma students linked their printed book cover to their 10 second video. Creating a virtual gallery, students held their iPads over the book covers to watch the video of the production. ​Please click here to view the Google Drawing Video. ​Please click here to view an example of a book cover.